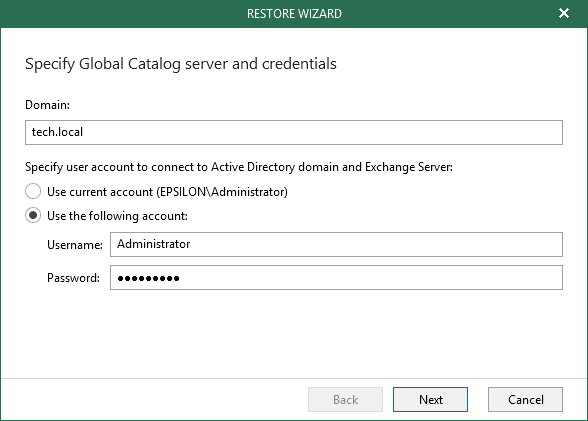 When restoring to On-Premises Exchange server, specify a Global Catalog server and authentication credentials. You can use your current account or specify another one in the domain\username format. For more information on required permissions, see Required Permissions. 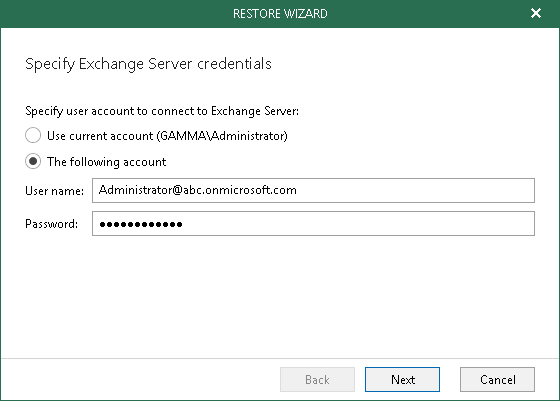 When restoring to Exchange Online, specify authentication credentials to connect to the target Exchange server. You can use your current account or another account in the username>@<organization>.onmicrosoft.com format.